How Does God View the Refugee Crisis? Heartbreaking! Painful! Insurmountable! Dangerous! Terrorism! These are words that come to my mind when I think of the refugee Crisis. What about you? What are the first words that come to your mind when I think of the refugee crisis? In the thickets of trying to wrap my mind around it, I find myself teetering between looking to countries and super powers to intervene or look at them with disdain. It’s sad to acknowledge this, but oftentimes, God is my last resort to turn to in the midst of an overwhelming difficulty. When I am able to freeze the racing images in my mind and peel back the curtains long enough, I find myself asking God these questions… “Lord, how do you want me to process all that I’m seeing, hearing and reading? Lord, how do YOU see this crisis? Lord, what are You doing in all of this?? – God loves justice and He will execute it for the oppressed in His timing and His way (Job 8:3). Even when we may not see the chariots of fire with a host of angelic armies encamped around us, we trust God do what only He can do in His timing and His way. – God appoints the times and locations where people should live so that they may seek Him (Acts 17:27-28). He has a purpose in all of this! In His Sovereignty, He moved Joseph out of the land of Canaan to Egypt so that Joseph can be the second in command in Egypt. He scattered the Christians across Asia Minor and Europe so that His message may go forth. When God allows a scattering of people to occur, no doubt, He’s accomplishing His purpose for people to seek Him and find Him. He did it then and He does it now! Lord, how do you view this crisis? Lord, what is Your perspective on this refugee situation? Lord, what is Your purpose for this situation? As the Lord opens and expands our minds to gain biblical thinking, He may or may not answer the “why” question. You know that question…”Lord, WHY did you allow this? Lord, WHY don’t you do something?” As if God isn’t doing something since He’s not moving in ways that make sense to us! God always opens Himself for us to ask the frustrating, puzzling, and confusing questions. He, nevertheless, moves us from wanting to know the “why” to the “what” question. In the last several days, our senses and emotions have been tugged at the horrific pictures, videos and interviews of refugees. Who has not cried over Aylan’s tiny little dead body at the shore of the Aegean Sea?? 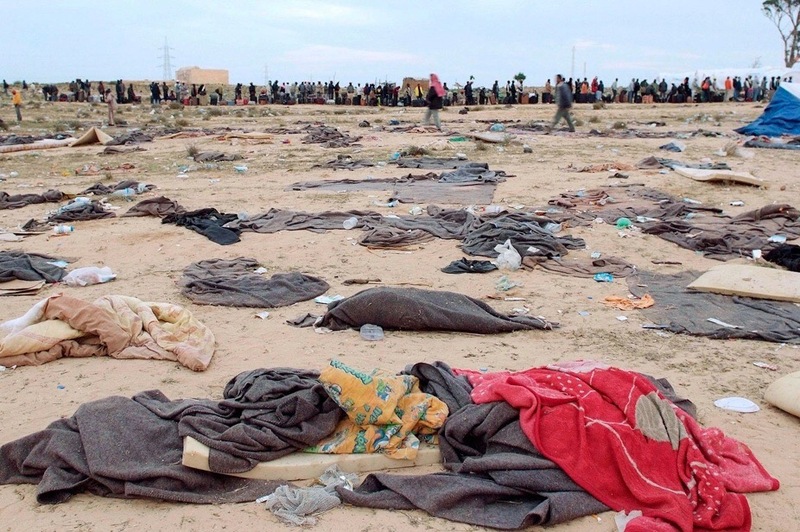 And who has not been gripped by the painful pictures of refugees trying to cross to Europe?? As a result, organizations are guilting you in giving, fingers are being pointed at politicians in the ugly and brutal blame game, and the churches are accused of not being “the church” if they do not act swiftly. This blog is not intended to accuse, blame, or guilt you in anything!! How did this refugee crisis occur? People have had to flee their homes because of war, danger or persecution since the first communities were formulated on this earth. This is not a crisis that occurred in the last year, people have fled their homes for thousands of years. 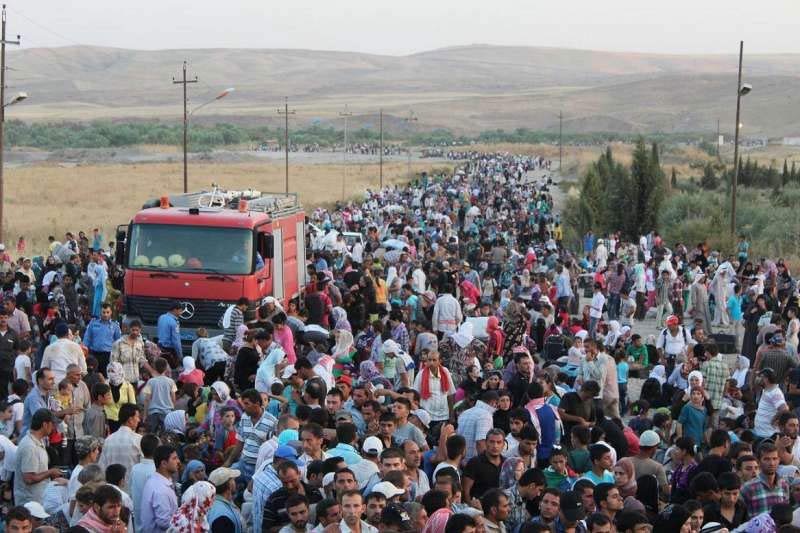 The refugee crisis has reached an all-time high because of ISIS destroying Syria and entering into Iraq. Close to 1/3 of refugees today come from Syria and Iraq alone. However, we also have people from Afghanistan, Colombia, Somalia, Congo, Sudan, Myanmar, Central Africa, and Eritrea that are refugees. Most of them these refugees that are internally displaced people (IDP) and some flee to neighboring countries to seek asylum. What are the best steps to take for the benefit of the refugees? The first step is for each refugee to be able to live in their homeland in peace. War, persecution, or danger are factors that do not allow them to do that. The United Nations has been charged with trying to promote world peace. This sometimes means fighting against rebels, factions or political parties are bent on destruction. Ideologies, religion, prejudice, politics are can all play a role in causing war. The Unites Nations can’t possibly fight against the deep rooted sin in the depraved heart. The second step is to welcome refugees who are unable to go back to their homeland. The first countries that these refugees flee to are the neighboring countries and considered “countries of first asylum.” Countries like Turkey, Jordan, and Pakistan are populated with refugees that have fled from a neighbor country. The neighboring counties that take in the refugees are usually supported by organizations like the Red Cross, or UNHCR (The Untied Nation High Commissioner for Refugees) or smaller faith based organizations like World Relief, and Baptist Global Response. The Third step is for refugees to register with UNHCR to receive refugee status. There are 26 countries that have agreed to resettle refugees into their own country, and the Unites States being one of them. A new trend hit twitter known as #wewelcomerefugees. This movement is intended to encourage our political leaders to welcome refugees in our country. Most people don’t know this but out of the 26 countries that resettle refugees, America welcomes the largest number of refugees. I’ve always said that America is a generous country and I’m grateful for the Her leading the way in resettling refugees. So instead of pointing fingers at our leaders, how about we thank them for their generous spirit! The refugee crisis is ongoing so we need to, first of all, educate ourselves about refugees and we need to know how we can better serve them in the name of Christ! My next blog will be about how we can make difference. 1. Will you respect me? When Boaz affirmed and blessed Ruth, she responded by falling flat on her face in front of him (2:10). That is a sign of humility and respect. When he told her he would settle the matter between him and the other Kinsmen-redeemer, she respected him by letting him lead her (3:12). She was very respectful of him. 2. Will you desire me? Ruth took the time to make her self look and smell pretty (3:1-3). She made herself available by going to him while he was alone and telling him she wanted him to marry her (3:9). Boaz was thrilled that she chose him over all the other guys (3:10). 3. Will you appreciate me? When Boaz prayed for Ruth, she told him that he comforted her and spoken kindly to her (2:13). She noticed the good things he was doing and she affirmed them. She appreciated him and what he did for her by telling her mother-in-law (2:19, 21). She bragged about him to others! 4. Will you support me? Ruth went to Boaz and lay at his feet (3:7). When he told her to stay with him, she stayed (3:14). When he told her it was time to leave, she left 3:14). She didn’t argue or complain. She complied. Ruth was a woman who loved God well and loved her mother-in-law well. She was focused on serving and being diligent. When the opportunity came with Boaz, she was affirming, appreciative, respectful and showed interest in him. She was a keeper! So what does this mean for us? If you are a single woman and you are interested in a guy, notice what he does and respond by appreciating, affirming, and respecting him. Let him know you are interested in him (with purity) so he can pursue you. If you are a married women, ask yourself if you are respecting supporting and appreciating your man. Are you initiating intimacy with him or do you dread when he approaches you romantically? If you are not initiating, ask God to help you with that area of your life! Ladies, the choice is yours to be a beauty in his eyes or a blob. If you are single guy, take notice of how a woman appreciates, supports, and shows you interest. If she does these things, she’s a beauty. If she doesn’t, she’s a blob and you need to keep looking! If you are married, notice how your wife meets those needs in your life. If she doesn’t do these things, pray God will open her eyes to respect, appreciate and respond to you postively. God wants that for you too! 1. Will you notice me? When Boaz came into the field, he noticed a new person with his employees (2:5). He not only noticed her but took notice of her love and dedication to her mother-in-law. 3. Will you value me? She came into his field as a foreigner but he elevated her above his own personal gain. He made sure she took more grain with her at the cost of his profit or bottom line. He told his employees to leave grains behind so she can take it (2:16). He even elevated her above his own employees. He told her she can drink from the water his employees were drinking and when it was time to eat, he invited her to his table (2:14). Boaz valued her above his profit, his work, and his employees. 4. Will you protect me? Boaz told Ruth not to go to another field so she would not be exposed to danger (2:13). He told his employees not to insult her (2:16), and he prayed for her (2:12).. Boaz protected Ruth physically, emotionally and spiritually. 5. Will you provide for me? If you know the story at all, you know how Boaz made sure she had plenty of grain to take with her. He even provided for her her meals while she was in his field. The amazing thing about this man is he did all these things for Ruth BEFORE they were even talking about marriage. He did all these things for her without expecting anything in return. He was selfless, caring and kind before he thought he would get anywhere with her. So what does that mean for us? If you are a single guy wanting to woo the heart of a girl, start by answering these questions for her before you get married. If you are a married man, make sure you take time to answer these questions for your wife on a constant and consistent basis through your words and actions. She needs those questions answered in her mind even if she is married to you. If you answer these questions to a married or single woman positively, she’ll decide you are a STUD. If you answer these questions negatively, she’ll write you off a DUD. If you are a single woman, pay attention to how this guy treats you. A friend of mine once told me that I need to look for two things in a guy: Does he love God well? And does he love me well? If the answer is no, move on! If the answer is yes, he’s a keeper! If you are a married woman and your husband answers these questions for you positively, thank God for him and thank him for it! If he doesn’t, pray he would be sensitive to your needs and that he will realize how you need these questions answered. God is in the restoring and healing business, do not give up on your marriage or your man! Someone once said that the difference between ordinary and extraordinary is the little “extra.” We all love to hear stories of ordinary people become extraordinary. People who have been transformed from rags to riches, from vague to vogue, from bleak to bright, from ordinary to extraordinary. God took a small clan and out it burst forth the Messiah. He used a young teenage girl like Mary to become the mother to the Savior of the World. He positioned a slave like Joseph to be the second in command in Egypt. God is in the business of taking what is ordinary and making it extraordinary. He did it for Bethlehem, Mary, Joseph, David and He’ll do it for you and me. He is not glorified by using wise, gifted, and talented people. He finds great exhilaration in taking humble, simple ordinary people who are surrendered, available and willing to be used by Him. Anything we choose to take out of our own hands and place in His Hands will become extraordinary. He will do it! Father, today I ask you to take my heart and mold it as you see fit! I surrender all my desires, my limited perception, and my life to you. I give you back the gifts and talents You’ve given me and place them in Your Hands to use as you see fit. I place it all in Your Hands today and ask to do with it whatever You choose. May you turn this ordinary life into something extraordinary for your Glory! In Jesus Name I pray…Amen! How many times have we blurted these phrases to our children, spouses or friends, We passionately say “MARK MY WORD” to warn, encourage or instruct them that what we are saying will surely happen in the future. Now, none of us can actually predict the future, but we say it based on our assessment of a situation and an absolute consequence of what will happen. God, in Jeremiah 33:14, declares to MARK HIS WORD! He promised He will fulfill His Word concerning a Branch. This Branch will enter into the world and will judge righteously. The people of Israel expected a warrior who will rescue and redeem them from the clutches of their enemies. However, God had to first fulfill His promise that He will send a rescuer and a redeemer of our souls. Did God promise a Warrior that will obliterate His enemies? Yes! And that is in Christ’s Second Coming! The People of Israel wanted a redeemer to set up an earthly kingdom but God had bigger and better plans in mind..He sent the Branch to set up an eternal kingdom! God promised and He overdeveloped! This reminds me that God can be trusted! What God says..God will do! So when God says He will never leave me nor forsake me (Heb. 13:5), I can trust Him! When God proclaims that He will hear my prayer and not withhold His love from me (Ps.66:20), I can rest in His Word! When He tells me He has a wonderful plan for my life (Jer. 29:11), I can get excited! When He tells me He’s provided for me to live a godly life (2 Pet. 1:3), I can learn to walk in that power and strength! When God tells me He will right the wrongs in my life (Jer. 33:15), I do not need to take revenge or manipulate my situation! As far as God is concerned…I can MARK HIS WORD! He will fulfill it if I am open and available! God has so many good words in the Bible that He wants to fulfill in my life, but I can be my own worst enemy! I can block God’s Word from being fulfilled in my life if I have unconfessed sin. I can slam the breaks on God’s purpose for my life when I try to manipulate my situation to get what I want. I can live in defeat if I do not look to Him to meet my needs in His time and His way. I have a choice to live in all God promised for me or I can live in misery. It is a daily choice I have to make. Lord, thank you that you can be trusted to fulfill Your Word in my life. Thank you that you desire to help me live in love, peace, joy, and contentment. Lord, please forgive me when I hinder Your Word from being fulfilled in my life. Please grant me Your wisdom and grace to know Your Word in my life and the strength and power to live it out! In Jesus Name I pray! Amen! The Break-Up or The Breakthrough? Has anyone given you any good advice on how to break-up with your spouse or girlfriend lately? I think it is time we take into consideration whether we want a break-up or a breakthrough in our relationships. 1. Focus more on your unmet needs and desires rather than the needs and the desires of the other person. Gary did that well as he wanted to come home and watch television to unwind. Brooke, however, need help in the kitchen as she worked all day and came home to prepare dinner for his and her family.Focusing on our own needs just points to our immaturity and lack of spiritual depth. 2. Rather than communicate your need for love, try to make your spouse jealous with another person. This is sure to turn your spouse off and may cause them to look to other relationships in order to make you jealous as well. This behavior definitely points to our insecurity and the fact that we are using sinful, fleshly behavior to manipulate the other person. Brooke took advice from her boss to make Gary jealous by bringing guys home and Gary retaliated by having several women over his house to play strip poker. 3. Up the Ante! Revenge is a sure way to break-up with your spouse. If you sense they are attacking you, make sure you attack back with a fuller force. It will make you feel good temporarily but will have lasting impact on your marriage or relationship. When Brooke kicked Gary out of the bowling league, he took revenge and bought a pool table which she did not want in the house. Revenge is sweet! This behavior certainly points to our pride and arrogance! It also leaves room for others not to trust us. 4. Shut them out! Don’t let them in! Make sure you shut them out emotionally and cut off any way of encouraging or loving them. Most importantly, make sure you withhold any affection from them. Brooke did that by shutting Gary out of the their room. This points to our weakness and inability to cope. What was sad to me in the movie was Brooke felt hopelessness and helpless. She told Gary that she broke up with him so he can miss her and want to come back. She wanted him to care about her and show her some interest. Brooke, though used her fleshly strength to try to communicate her need to Gary. When Gary finally got it, he planned a romantic dinner for Brooke in hopes that he may gain her love back. However, her haunting response came through, “I don’t have anything left to give. I don’t feel the same way.” And they went their separate ways. Fear, panic, and concern is flooding the hearts of Americans, particularly those that live in Texas. A few weeks ago, a man infected with the Ebola virus entered a hospital in Dallas and as a result, two healthcare workers are now infected as well. People are desperate to understand this virus, but more importantly, how can they avoid it. Schools are closing, apartments and airplanes are being decontaminated, people are quarantined, and patients refuse to enter the hospital where the Ebola patient once resided. “What are we afraid of?” is a question that keeps playing in my mind. Are we afraid to die? Are we afraid to get sick? Are we afraid our loved ones will die or get sick? The last time I checked, the death ratio is at an all time high of 100% (unless you are Moses or Elijah). Jesus even experienced death. As I process the Ebola “crisis,” I’m reminded of a stark truth. There is a disease that is worse than Ebola. We are all infected with it and all of us are dying from it. We contracted this disease from our parents who contracted it from their parents. This virus is called sin. Most of us can’t recognize it because the symptoms vary. These symptoms include unbelief, lust, pride, arrogance, selfishness, hatred, unforgiveness, bitterness, and jealousy to name a few. The virus destroys first and foremost our relationship with God. It separates us from Him for all eternity. It demolishes our relationships with one another and devours our souls. It is a serious virus but no one seems to be quite as concerned about it. Recently, Dr Kent Brantly (the man who contracted the Ebola virus), donated his blood to one of the nurses so she can benefit from the antibodies in it. She was given a blood transfusion and now she feels better. This example reminds me of the vivid picture when Jesus Christ eradicated the sin virus. He shed His blood which infused the Holy Spirit in our souls in to save us. Our bodies will eventually die but our souls received the transfusion of the Holy Spirit in order to live. This transfusion gives us access to living with God forever. And while we live here on earth, the transfusion of the Holy Spirit in the veins of our souls brings healing from fear, jealousy, anger, selfishness, pride and any other form of this virus. We have a CURE for sick and dying souls! We’ve been given LIFE! So, why aren’t we going to Jesus to heal our souls from the virus of sin? We have the antibiotic of the Holy Spirit running through the bloodstream of our souls, but why aren’t we telling others about it? Why are we not panic stricken that people’s souls are being devoured by the sin virus and the only cure is the blood of Christ? May we be panic stricken and grieved that the sin virus is eating away at people’s souls!! And may we move to action to tell others about the cure..the ONLY cure…Jesus Christ! “Was this a dream or a nightmare?,” Joseph probably thought to himself as he woke his young bride, Mary. She needed to pack her belongings and flee with their boy, Jesus. Mary was struck with panic and fear. They could hear the wailing of women as children were being slaughtered across Judea. It was a horrific night for everyone, but they didn’t have time to process the situation. They needed to flee to Egypt as fast as they could. Their Son, Jesus, was about to be killed by a ruthless man if they didn’t act fast. Adrenaline propelled them to run fast. Fear drove them to run in dark areas where they could not be seen by the soldiers. Jesus and His parents were refugees! We often read the familiar passages without considering the emotions and thoughts of biblical characters. What did Joseph think when he saw the angel in his dreams? Did he wake up with a panic attack? How did Mary feel when her husband told her that her baby boy was about to be killed by Herod? Running for your life is a very traumatic situation. Today, we have over a million people who are refugees around the world. The Unites States welcomes close to 70,000 refugees each year. These people come to the United Stated traumatized, They have lost everything! People often ask me who is a refugee. It is someone who has fled their country because of persecution due to race, religion, nationality, political opinion or social group membership. They come from all parts of world. They come to find refuge and begin their lives again. But is it not easy. As believers in Christ, we need to see them from a different perspective. We need to see that God has brought them to us so we can minister to them. In the coming days, I’ll share with you how they come to the United States and how we can reach out to them. Today, I want to just share with you how Jesus was a refugee. I pray God will open our hearts to the nations next door!